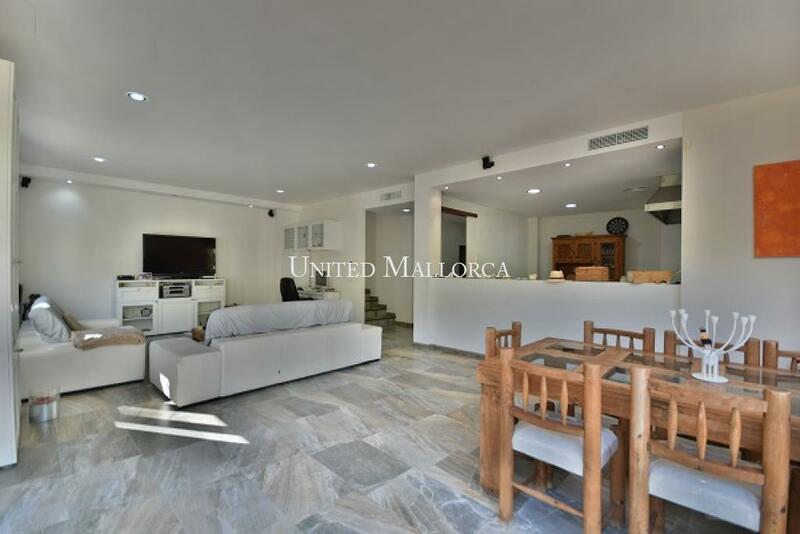 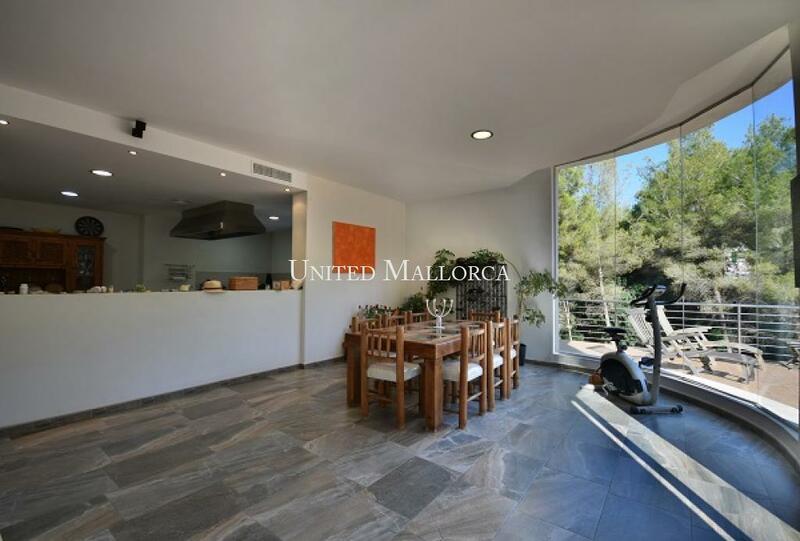 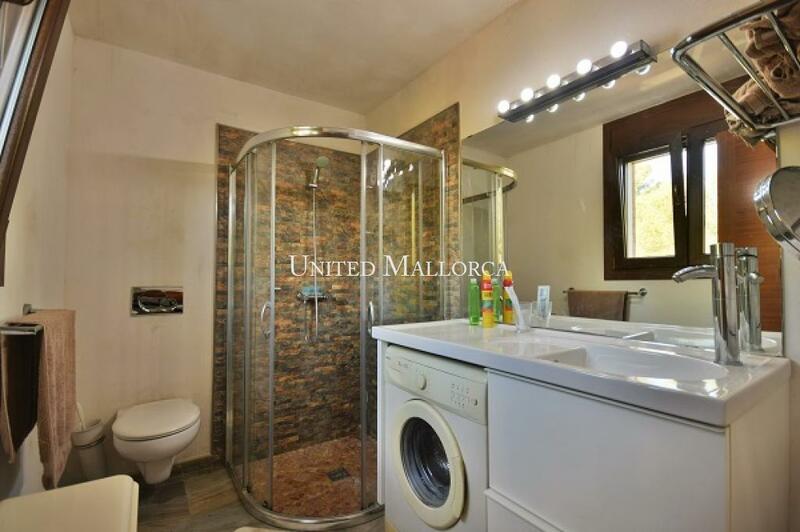 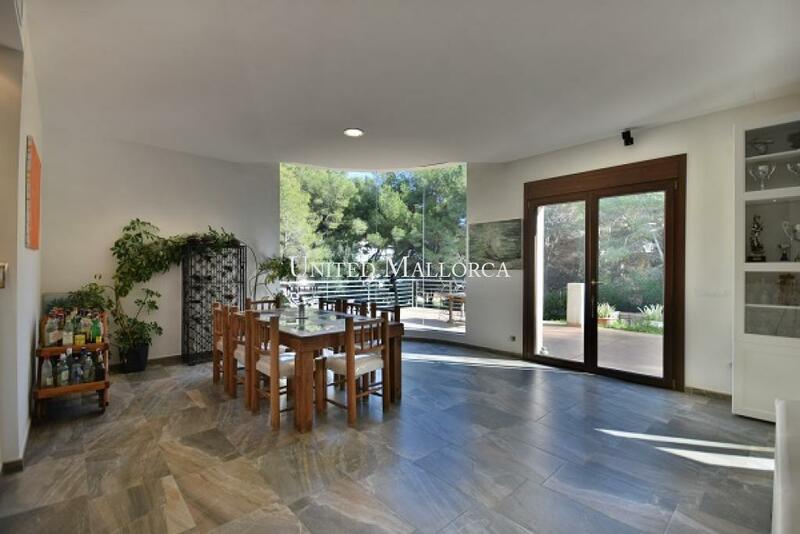 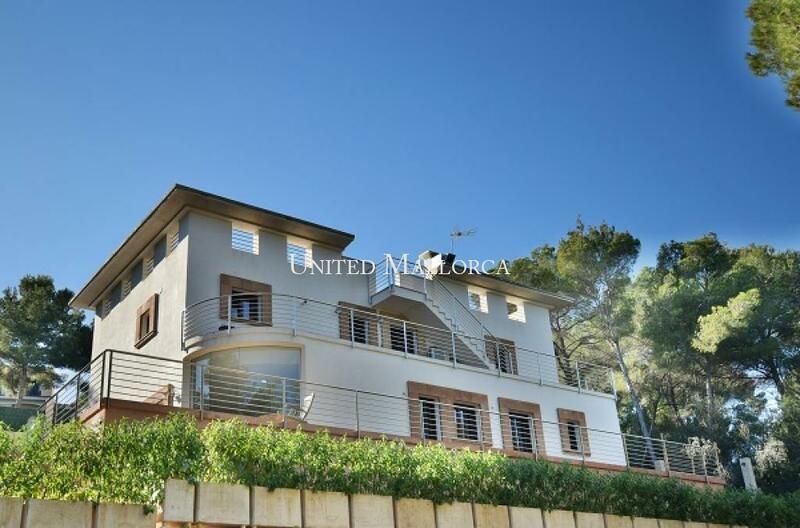 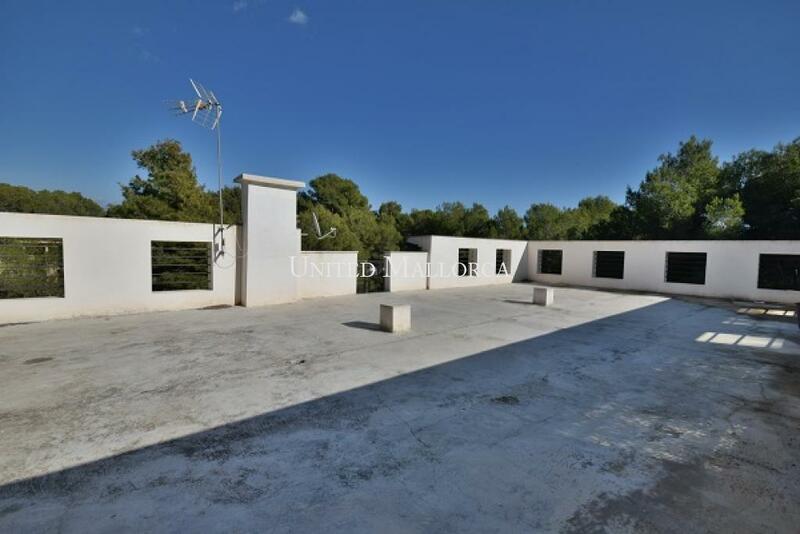 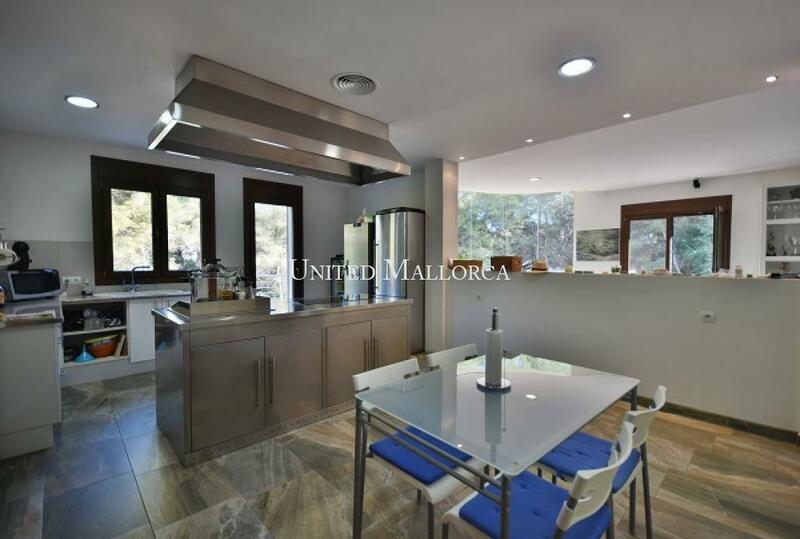 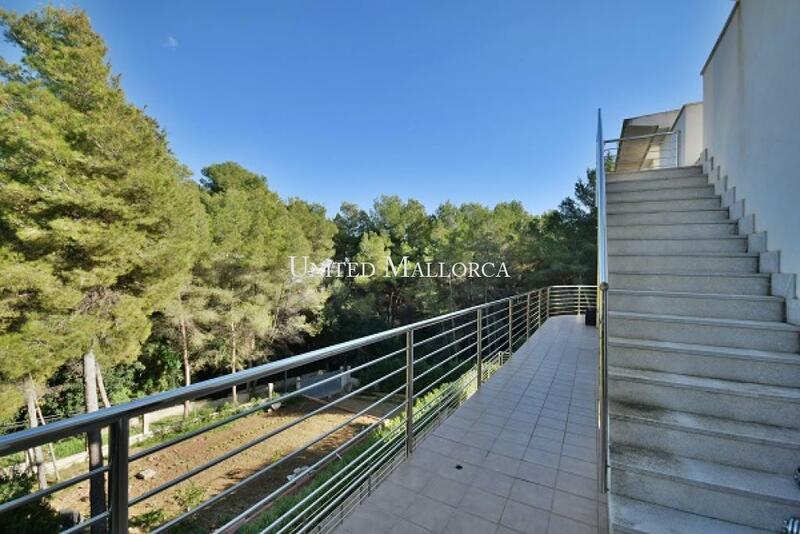 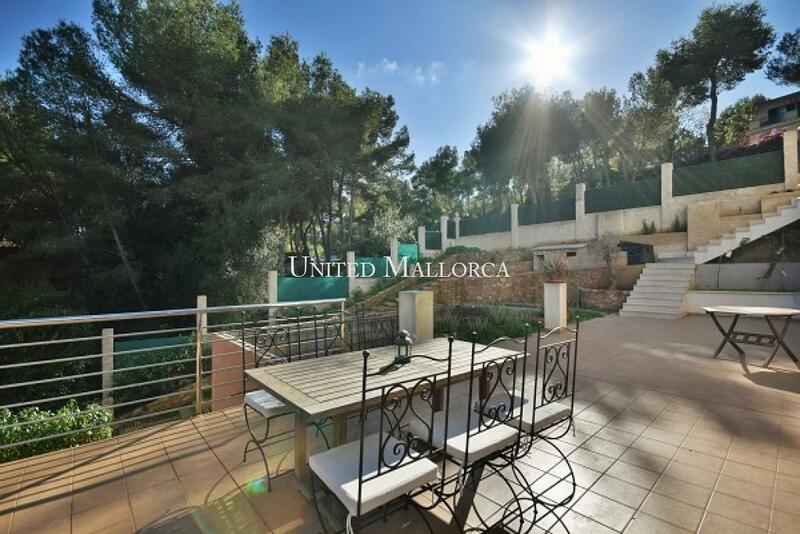 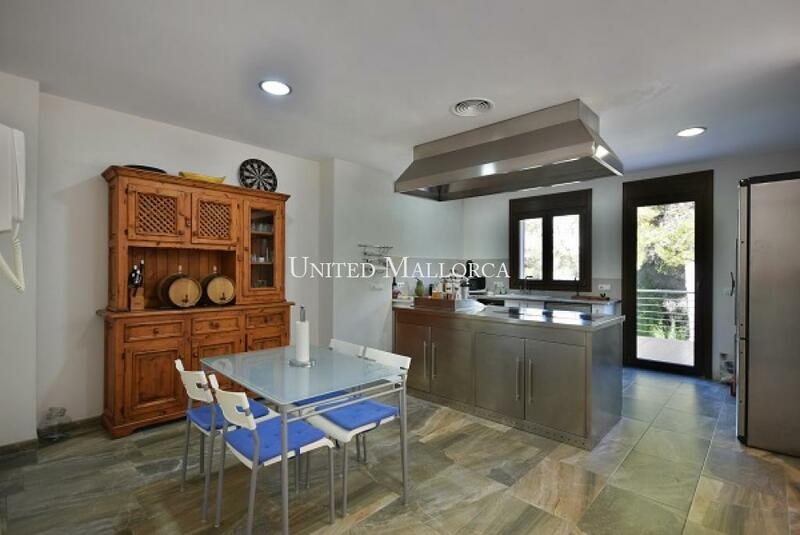 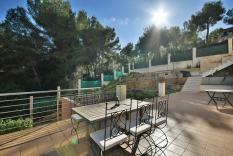 This spacious, southeast facing villa was built in 2011 on a plot of approximately 1,500 m2, which is located next to a green area, offers a lot of privacy and is only a few minutes’ walk from the sandy beach. The constructed area of approx. 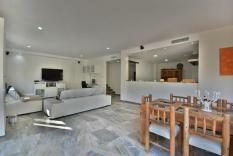 310 m2 is divided into 2 levels. 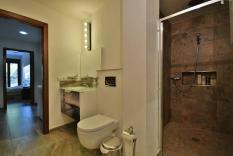 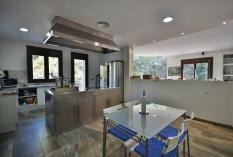 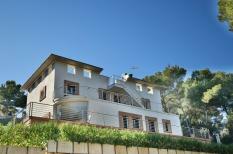 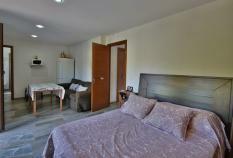 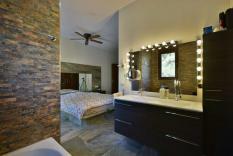 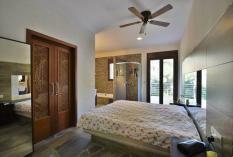 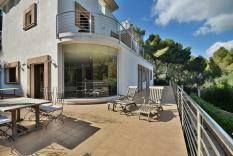 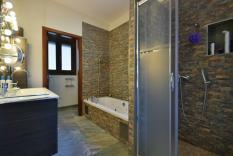 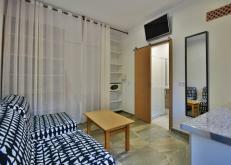 At the street level is the garage of about 50 m2 and two studios with kitchenette and shower bathroom. 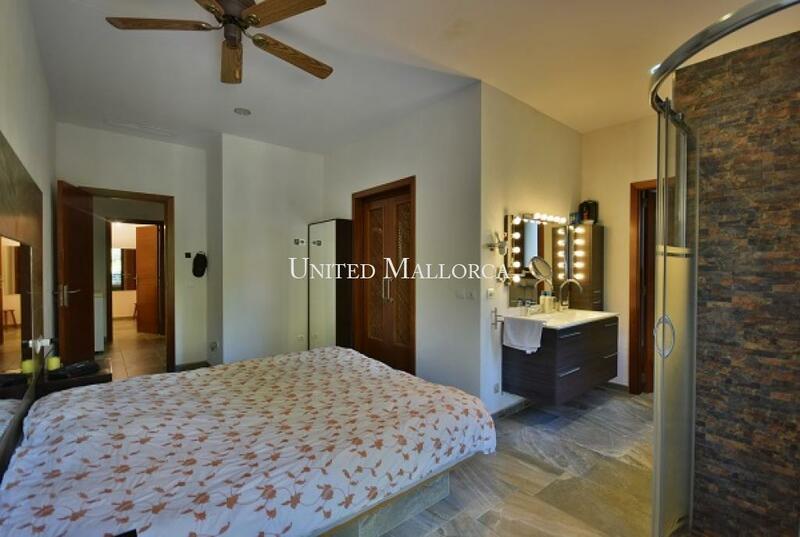 The ground floor offers on about 174 m2 a spacious living-dining room with open modern kitchen, high ceilings and access to the large uncovered pool terrace, master bedroom with walk-in closet and bathroom in suite with Jacuzzi, a single bedroom, a shower room and another studio with kitchenette, bathroom and private entrance. 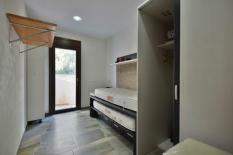 The basement contains the service room and technology, and is ready to install a gym, SPA, etc. 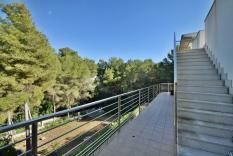 The pool is about to end, which is taken care of by the owner and is included in the price. 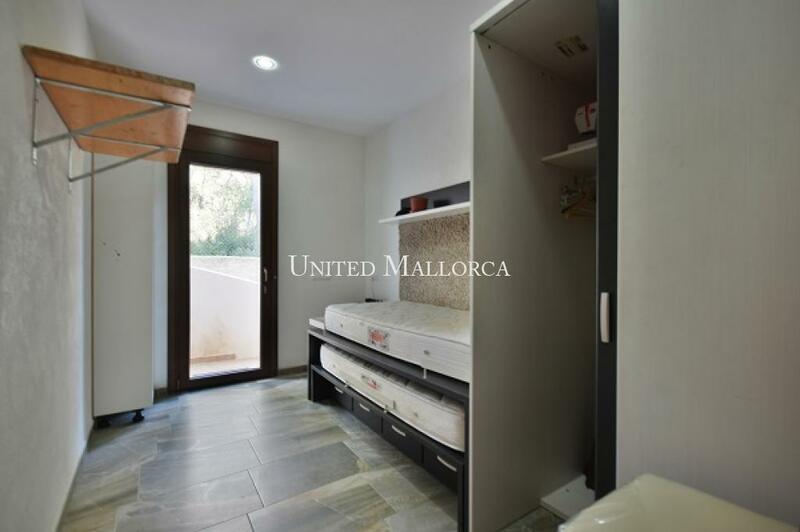 Other features: underfloor heating (water pipes), integrated air conditioning hot/cold, German PVC windows and patio doors with double glazing, electric shutters and pre-installation for a lift. 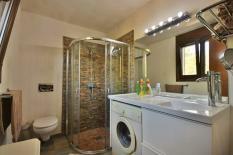 Please send me further details of this property 101215.